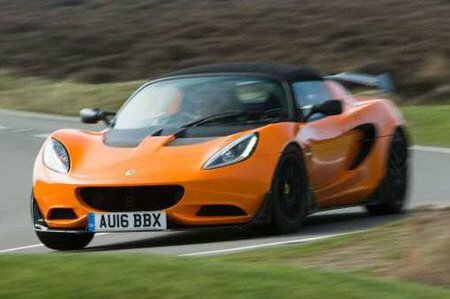 Lotus Elise Performance, Engine, Ride, Handling | What Car? The entry-level Elise Sport uses a 134bhp 1.6-litre engine, while the Sport 220 has a supercharged 217bhp 1.8 and the Cup 250 a 243bhp version of that unit. Even though the Elise is light, the 1.6 isn't quite powerful enough to excite; come up behind another car and you need a decent amount of space and planning before you can get past, which is frustrating in a sports car. 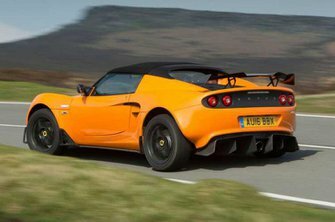 By contrast, even the less powerful 1.8 can propel the Elise from 0-62mph in just 4.2sec, and on to a blustery top speed of 145mph. It's tremendous fun and has more than enough urge for speedy and safe overtaking. The Elise also sets new standards for cars of this type with its superlative grip and surprisingly comfortable ride. You need to be wary of unsettling the rear if you lift off the accelerator mid-corner, but its sharp, accurate steering is more communicative than the average after-dinner speaker. As a result, country roads can be attacked with verve, while the brakes are a perfect match for the pace. Just don’t expect the Elise to have a cosseting, hushed interior. Even with the optional hard-top roof in place, wind noise whistles around and the engine produces a constant drone, which can prove extremely tiresome over long distances.